SINAR TWIN LENS REFLEX BY GLENNVIEW. This is a RARE CAMERA. 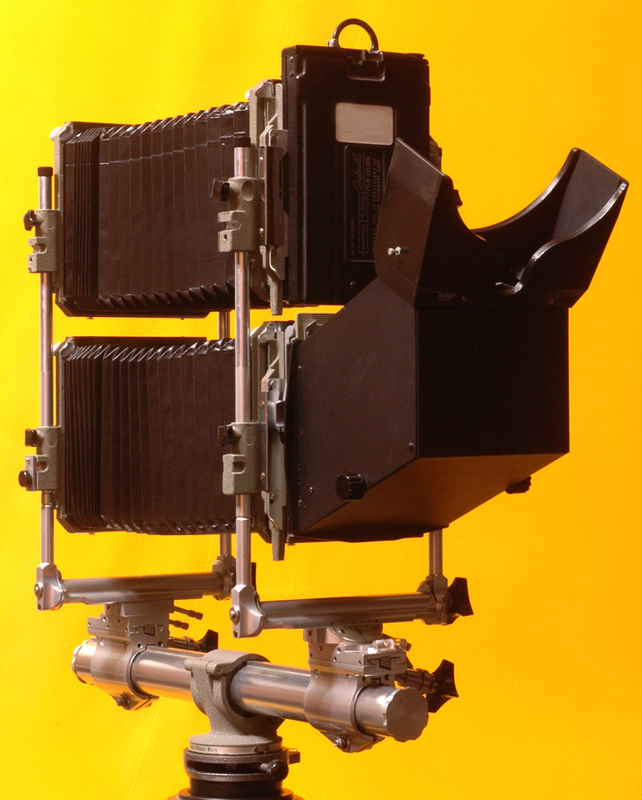 Although Sinar sold the components to assemble a Twin Lens Reflex camera, I have never seen one. 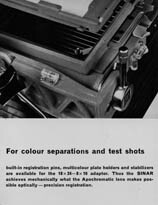 I can sell you the critical components, other than a set of matched lenses, you will need to put together your own Sinar TLR. This particular camera is priced as is because of the quality components. The camera is my personal camera; the camera is composed of the best versions of Norma components. 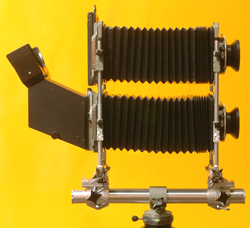 The bellows are light tight original Norma bellows; nobody has made such quality bellows in decades. 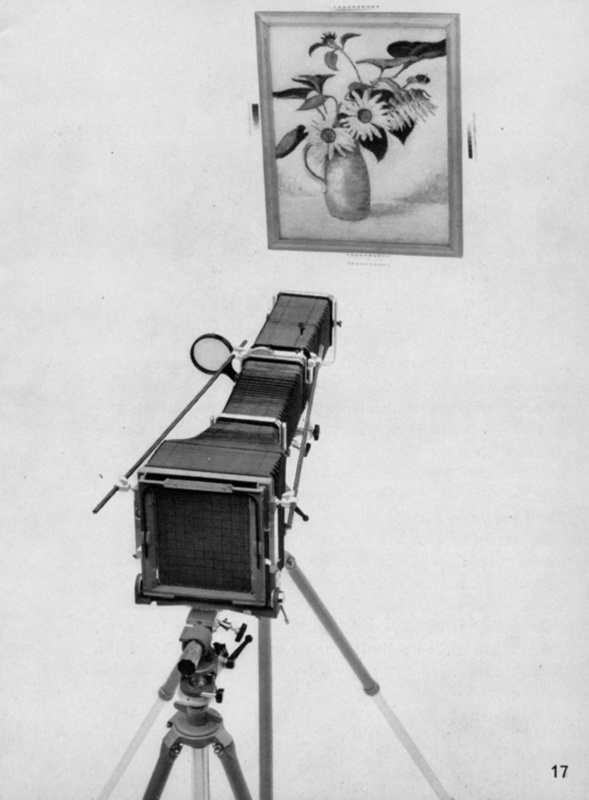 The last image is from an original Sinar Norma publication. $4200, not including the lenses. SINAR VERTICAL RISER EXTENSION RODS BY GLENNVIEW. 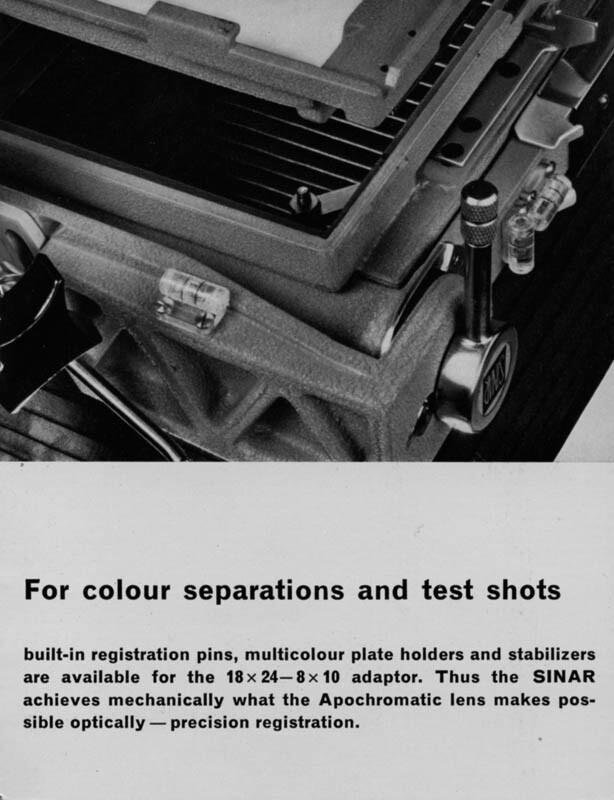 Sinar made vertical riser extension rods, but they are rarely found. I have found several rods in 300mm length, but I have not found any in the appropriate length for a TLR. I can make them in any length up to 337mm. I have them in stock in 166mm (what you see above) and 337mm. The 166mm vertical riser extension rods are $150 per pair. 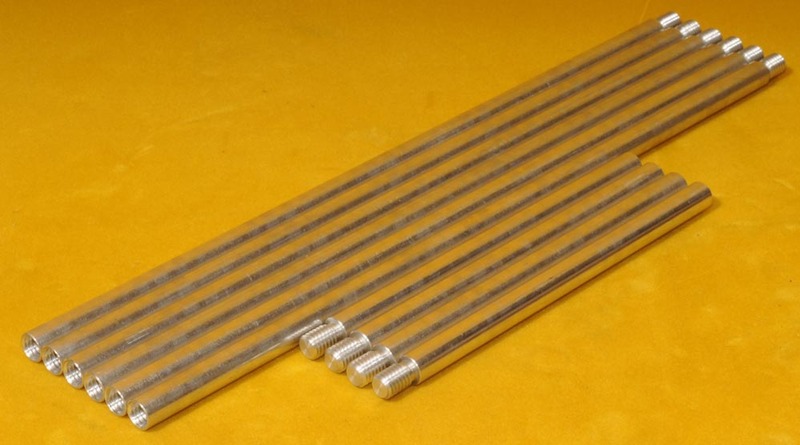 The 337mm vertical riser extension rods are $200 per pair. These vertical riser rods have now been black anodized. STABILIZING RODS WITH CLAMPS: A set of 6 GLENNVIEW made 337mm stabilizing rods with a set of 4 very RARE original Sinar clamps are available for $1000. If you are working with extremely long lenses or doing macro work with your 8X10 Sinar you need these and the GLENNVIEW made 2X mounting plate. These stabilizing rods have now been black anodized. The last 2 images are from Sinar Norma literature. I sold the rear standard, but all else is available. That is a 30" Red Dot Artar lens on the camera. Read about the lens on my View Camera Lenses web page. 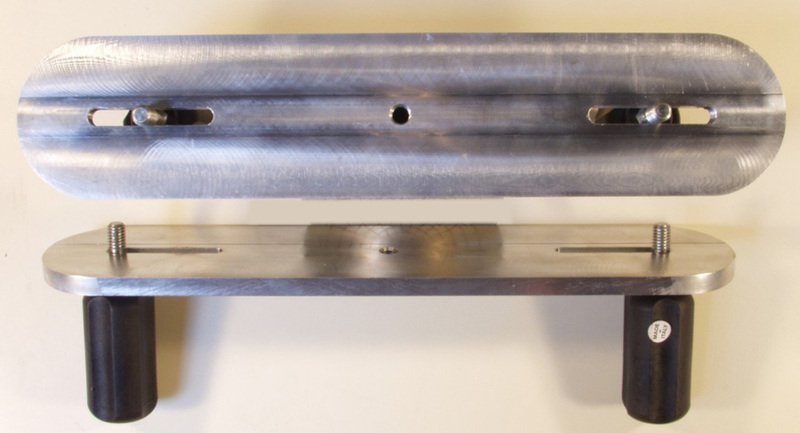 GLENNVIEW made 18" mounting plate for use with 2X rail clamps: This mounting plate is optimized for use with Sinar gear. There are slots along the mounting plate that allow you to move your rail clamps between 9 and 12" on center. 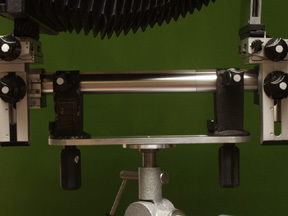 There are small slots on the bottom side of the mounting plate that engage the Sinar tripod head locating pins--keeping your camera aligned and preventing it from turning on the tripod head. $250. 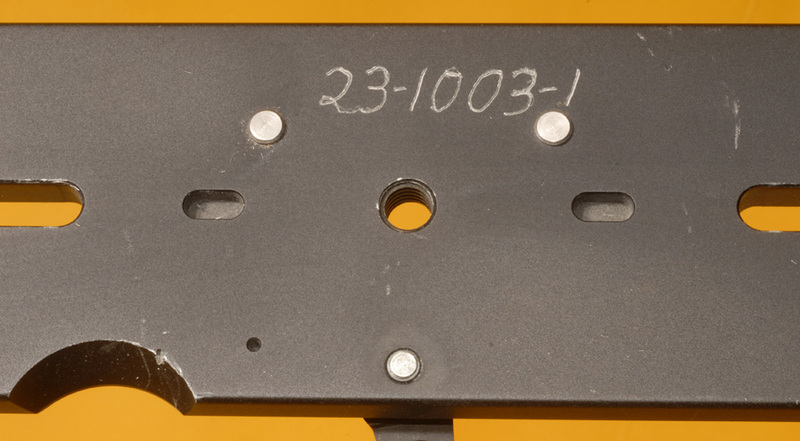 These 2X mounting plates have now been black anodized. When I get around to it I will make some hand screws for convenient mounting of the rail clamps to the 2X mounting plate. That will add to the cost. My handles will look like the ones in the last 2 photos of a previous version of my 2X mounting plate. 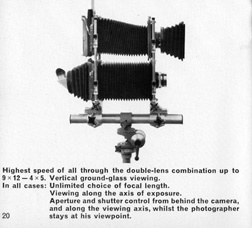 Other necessary components are the matched set of lenses. These lenses, NEW 360mm Graphic Kowas, are listed on my View Camera Lenses web page. You will find many GLENNVIEW custom made products on my Sinar web page and on my other web pages. 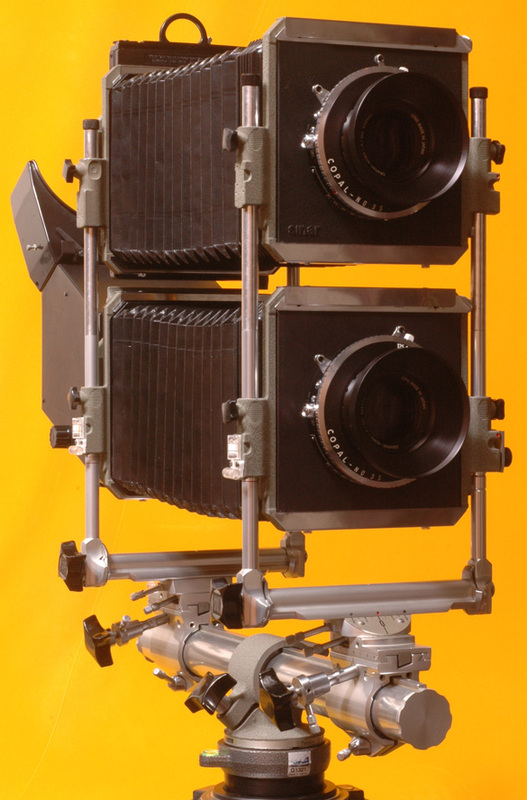 There are cameras and format change kits up to 12X20". There are lots of little items too. 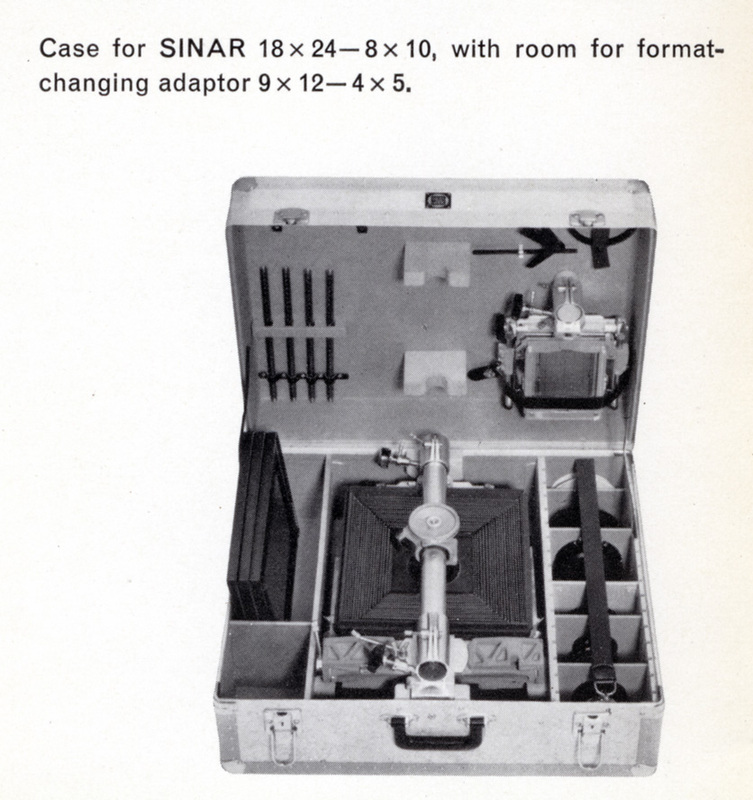 I have an excellent selection of original Sinar equipment as well. Please enjoy looking around my web pages. Click on your back button to return to the the page you came from or click on one of the links below. Return to the SINAR web page.